February 2012 Free Calling Offers | Popular Posts | Free Pc to Phone Calls, Free Voip Calls to India International ! Free Pc to Phone Calls blog has grown big. We have increased our social presence, we are on facebook, google plus, twitter. We bring to you latest free calling offer, best voip deals, tutorials to make calls, review the latest voip apps (smartphones and PC), however as the number of offers are increasing people are finding it difficult to search the best offer for them. We have posted large numbers of ways to make free calls. so if you are still looking for a way to call your destination for free, we would suggest try searching on our blog. Alternatively we have decided to do a monthly round up of the posts and categorize them, so people can easily read the best offer or post for them. Free Calls to Poland : Localphone offered free calls to Poland Landlines for a whole week from 12pm (noon) GMT Wednesday 29th February until 12pm (noon) GMT Thursday 8th March. The Poland calling rates of Localphone are also cheap as compared to other providers. We did a small comparison as well. Free Calls to USA and Canada using Chirp : One more way to make free calls to USA and Canada. 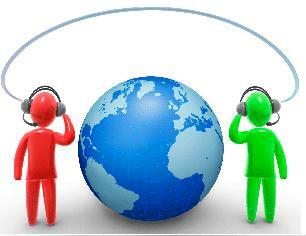 MyWebCall : Use MyWebCall to make cheap and free international calls. Cheap Calls to Bangladesh : By Rebtel. Unlimited Calls to Philippines : Localphone offers unlimited calls to Philippines package. Best offer to call Philippines. LowPriceCall : Low Price Call voip provider review offering cheap international calls.You can use this voip provider to make cheap calls to many Asian countries. Spokn : Spokn collect call feature explained. Free Calls again! Cheap Calls to Nigeria : Localphone offers very cheap calls to Nigeria. Voice Text App : Free Text Messaging app for iPhone, iPod, iPad, Android! Facetime for Android Alternatives : Facetime is very popular in iOS Devices. A quick review of what alternatives are there for android mobiles. Samsung Chaton : The famous Samsung chaton app review and its features. Octro for iPad : How to make SIP Calls on iPad. A complete tutorial with images. Rebtel for PC : Use Rebtel on PC to make cheap PC to Phone Calls. Dell Fongo Voip Smartphone App : To make free calls. Vonage Mobile App : Vonage mobile app for iPhones, android, blackberry phones to make free calls. Facebook Messenger for iPhone : Use this facebook messenger for free calls to your facebook buddies. How to use iPad as Phone : It explains how to make calls from iPad. Samsung Video Calling Mobile Phones : We have talked about video calling on mobiles but what mobiles are available for video calling. Samsung Video calling mobile phones list. Free Pc to Phone Calls on Google Plus : Stay updates, join us on Google Plus.